The Earth Renewal Moon teaches you to be as clear a receiver and transmitter of universal energy as the crystal, as important a communicator of the ancient knowledge as the birch tree, and as respectful of tradition and ritual as the snow goose. This is a position with the potential for great power. The Earth Renewal Moon teaches you to be fluid, yet proper in conduct as well as clear, adaptable, prudent, and wise. People in this position have keen vision, are good ceremonialists, and can take large steps in their personal evolution. Snow goose people need to guard against becoming blocked, against using their enormous power incorrectly, and against being so perfectionist they never have time for fun. 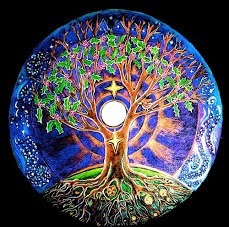 LEARN THE TRUTH: the first Moon cycle of truth is Learn the Truth: Learn kinship with all our relations who are in the Wheel of life, in the visible and invisible worlds. When we learn the truth of this lesson, we have unconditional Love for all Creation.